Updates » Updates » Minister Erdan proposes to cut power supply to the Gaza Strip. Is he not aware of the state’s position? Minister Erdan proposes to cut power supply to the Gaza Strip. Is he not aware of the state’s position? 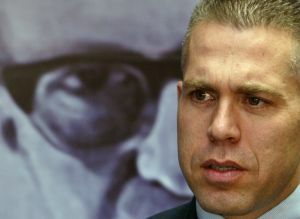 May 13, 2012: Minister of Environmental Protection, Gilad Erdan, proposed cutting off electricity to the Gaza Strip before power supply to Israeli residents is limited. As the minister should know, Israel acknowledged its obligation to provide electricity and fuel to the Gaza Strip back in 2007. It raises the question – why is he wasting the government’s time with a proposition that will not be accepted – it is at odds with the state’s legal position with respect to Gaza, with a ruling made by the Supreme Court on the issue and with international law. Israel has controlled most of Gaza’s electricity supply since 1967. Under the Oslo Accords, Israel undertook to sell Gaza 120 mega watts of electricity. The development of alternative power sources for Gaza has been delayed as a result of the bombing of its power station in 2006 as well as delays in granting permission to transport the equipment necessary for repairing the damage. It is also important to note that Gaza has been suffering from severe electricity and fuel shortages for almost four months and residents have been subjected to 12 hours of blackouts per day. Israel sells Gaza 35% of its demand for electricity. Cutting off electricity supply means harming Gaza’s hospitals, sewage system, agriculture, industry and residents themselves. Officials in Gaza hospitals told Gisha today that hospitals run generators only in emergencies due to the fuel shortage. In March, in the midst of the fuel and electricity shortage, the World Health Organization noted that since the beginning of the year, three times as many medical supplies have become non-usable in Gaza and that the average waiting time for elective orthopedic surgery at Shifa hospital has gone from three to six months. This is what Gilad Erdan’s proposal means – risking the health, even the lives, of Gaza residents. This proposal is not just at odds with the state’s position and international law, it cannot and must not be the alternative solution for Israel’s electricity problems.